Christopher Merret (1614 – 1695) was an English physician and scientist. 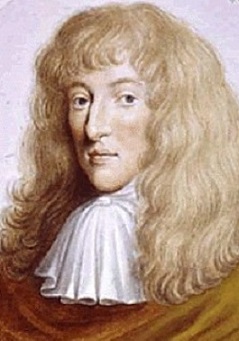 He demonstrated his method to add sparkle to wine in 1662. Merret was born in Winchcombe Gloucestershire England. 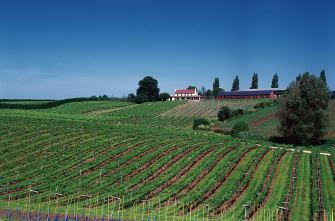 Although Britain is not renown for wine, it has been produced here for at least 2000 years introduced by the Romans. But the sparkle was added much later. A retired British Admiral, 'Sir Robert Mansell', while searching for a way to make coloured glass, he had invented a manufacturing process incorporating the use of iron and manganese which resulted in English glass bottles being much stronger than those being manufactured in France at that time. Also, the English imported cork from Portugal which made a better seal in a bottle than wooden and cloth stoppers that were used in France. During this time still wine being brought to Britain from France seemed bland to the English palette as cider was well established with its much livelier quality. As early as 1662 when 'Christopher Merret' presented a paper to the newly formed Royal Society in which he stated that sugar and molasses were being added to wines of all sorts to make them sparkling. Using this process the wine imported from France could be carbonated and made palatable. Spontaneous secondary fermentation had occurred in still wines since antiquity; most glass bottles of the time were not strong enough to contain the high pressures generated, and so exploding bottles were an occupational hazard of winemaking. Sir Robert Mansell obtained a monopoly on glass production in England in the early 17th century and industrialised the process; his coal-powered factories in Newcastle upon Tyne produced much stronger bottles than were available in France. As a result the English could deliberately induce a secondary fermentation in wine without the risk of blowing up the bottle that was a huge hazard in French wine production. The first mention of 'Sparkling Champagne' was in English, not French. This was in '1676 by Sir George Etherege' who found 'The Elixir of Life'. This was decades before Dom Pérignon who is traditionally considered to have invented sparkling wine in Champagne around 1697 when he declared “Come quickly, I am tasting the stars’’. 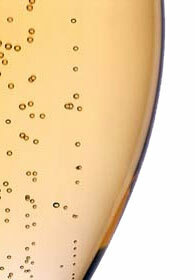 French made their first sparkling Champagne, which was in a document produced in 1718.